NEWPORT BEACH – Rudy Dettwyler, a fixture in the Southern California marine industry for more than 40 years, died March 22. He was 88. 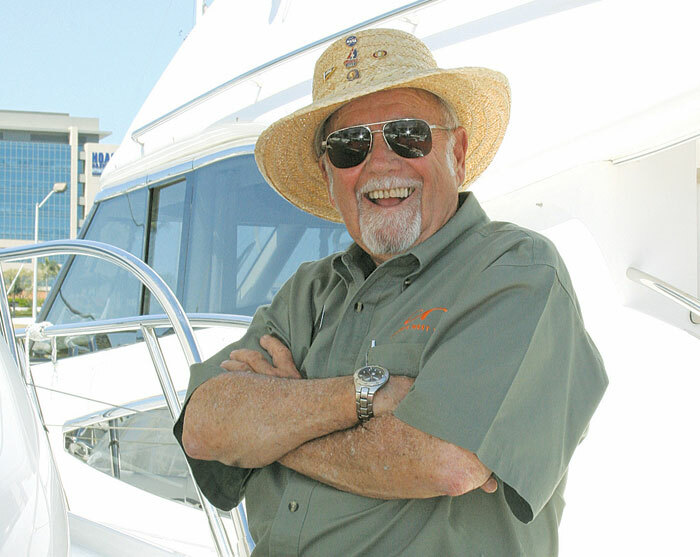 The yacht broker continued to serve the boating community throughout his lifetime, previously working with Crow’s Nest Yachts and most recently working with Chuck Hovey Yachts of Newport Beach. With more than 40 years of experience under his belt, Dettwyler lived through the ups and downs of the industry, adjusting to the changes and remaining successful. The former engineer did not predict he would end up in the boating industry, bringing his knowledge of yachts to the Newport Beach boating community in the late 1960s. He served in the Navy during World War II and worked as a research engineer for a jet propulsion company in the San Fernando Valley. When the aerospace industry boom ended, the Michigan native changed his career and moved his family to Newport Beach in 1967. Dettwyler, who began sailing on Lake Michigan at the age of 10, began to sell sailboats with a partner at Bristol Yachts of Southern California. He moved on to work for Balboa Marina when the company dissolved, as consumers moved from purchasing sailboats to powerboats. He made the switch from selling sailboats to powerboats. It is estimated that he sold 20 to 30 boats per year between 1969 and 1979. When the boating industry took a hard hit in 1981, due to high interest rates, Dettwyler joined Crow’s Nest Yachts, where he served as a senior broker. In 1989, he was named one of the top 10 salesmen in the world by Bertram Yachts and was awarded a trip to Europe. The amiable Dettwyler, who obtained a degree in engineering from Purdue University, never considered retiring from the brokerage business. “As long as I can hang around young people, then I guess I’ll keep doing it until they kick me out,” he said in a 2007 interview with The Log. He is survived by his son Danny Dettwyler, daughter Judy Finkbiner, son-in-law Jim Finkbiner and granddaughter Kelly Finkbiner.